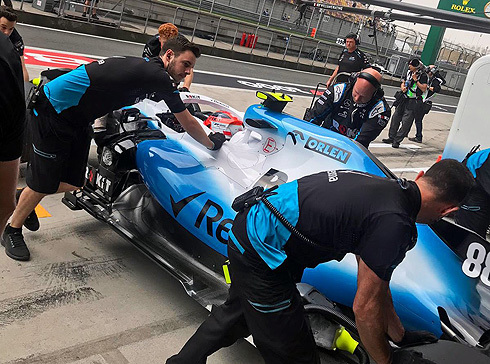 The opening two Friday practice sessions for the 2019 Chinese GP would again see the ROKiT Williams drivers finish at the rear of the field. But on this occassion Robert Kubica was able to move ahead of team-mate George Russell. 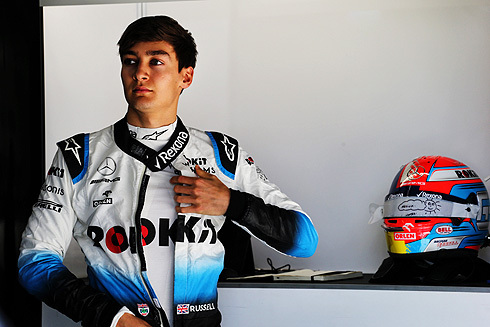 This was encouraging for Robert as he still tried to come to grips with his FW42, which was still having its unique issues. The team had brought some updates to the cars and these seem to be working well after both sessions. "It was a usual Friday. We were trying to understand some of the different characteristics of the Shanghai circuit and how our car copes. Generally, the car feels a bit different to the last two weekends so that is a good sign. Now we have to look at the data and see what to do but the balance is quite different to the previous two events. The characteristics of the car have changed, and it feels like it is responding differently." "It was my first time out in China, so it took a bit of getting used to the circuit. It was a fairly normal Friday; the long run pace seems better than the qualifying pace for me. I am struggling with the single lap, but it’s my first day and I’m looking forward to tomorrow. We seem closer as a team to everybody else than the previous two races, so we are heading in the right direction. We have to make the most of it, keep pushing, understanding the car, and see what we can do tomorrow." "The weather has been kind in Shanghai today with low cloud cover and gentle wind. This allowed us to complete some good quality testing in FP1, both continuing the work we started with Nicholas in Bahrain, and also looking at some components that were new for this event. Although there is more analysis to complete this evening, early indications are that the new components are working well, and we will likely adopt at least some of them for the rest of this weekend. During FP2 we were able to turn our attention to tyre preparation in readiness for qualifying as both drivers got their first look at the qualifying tyre. Both were reasonably happy with their runs, which gives us a good baseline on which to build during FP3. 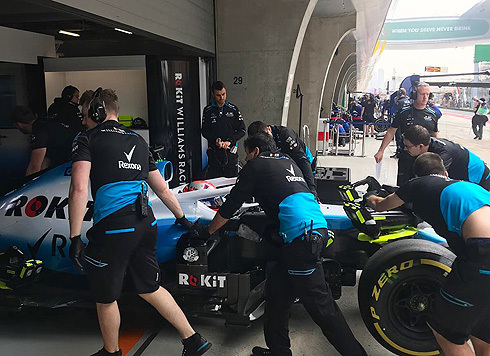 Long runs were decent with the car again proving reliable, allowing us to gain some valuable information on how to manage the tyres over the course of a race distance on the Shanghai International Circuit." Seems like we might be a little closer to the midfield pack, particularly in FP2? I always thought it would take Robert a few races to get up to speed. That has to be part of it. Yes I think people have had a bit of an unreasonable expectation as to how quickly Robert would come up to speed. Yes he has had time in the car last year as well as pre-season testing but nothing can replace race weekend track time. I'm wondering if the same applies to Giovinazzi. He hasn't driven a car in anger for a couple of years. He's been a long way off Kimi. From FP2, it seems like we are now within a second of the next few cars. I could be mistaken but I actually thought it looked like our guys were pushing the cars harder than what we seen before. It actually looked like a racing car today.